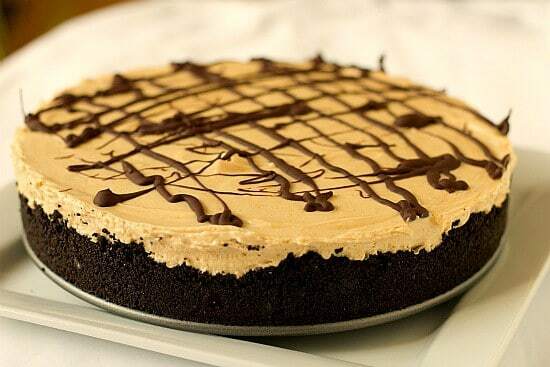 This peanut butter pie is for Mikey. I don’t know Mikey, but his wife, Jennie, runs the food blog In Jennie’s Kitchen. I have never met Jennie, although we have communicated online and I shared a guest post on her site a couple of years ago (see: Polenta Pizza). This past Sunday, Mikey collapsed and died of a massive heart attack. He and Jennie have two young girls, ages 8 and 3. I cannot even begin to fathom how Jennie feels. Many have asked what they could do, and on Tuesday Jennie put up a blog post, ‘For Mikey‘, sharing this recipe. She said it was Mikey’s favorite and that she had been meaning to make it for him recently, but never got around to it. She invited fellow bloggers to celebrate his life today (when all of his loved ones will be saying their goodbyes) by making and sharing this recipe. So, this is for Mikey, and Jennie, their daughters, and the love that they shared. I am certainly not immune to the concept of mortality. My dad passed away when I was 19, due to complications from leukemia, however this seems so, so different. My dad grew sick, and we knew for a couple of weeks that nothing was going to make him better. We had time to sit by his bed, grieve, and say goodbye. To have someone die so suddenly, so young, to be ripped out from under you, without having the opportunity for proper goodbyes… I can’t even imagine. So, make this (delicious!) 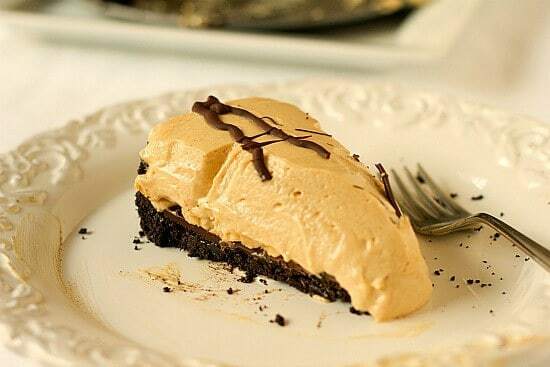 peanut butter pie for someone you love. Hug them a little tighter. Say I Love You. And be grateful for each and every day. 1. In a medium bowl, combine the Oreo crumbs, pinch of salt and melted butter, tossing with a fork until the crumbs are all evenly moistened. Press into the bottom and about 1-inch up the sides of a 9-inch springform pan. Place in the freezer for 10 minutes. 2. While crust is in the freezer, place the 4 ounces of chocolate chips into a small bowl. In a small saucepan set over medium-high heat, bring the ½ cup of heavy cream to a full boil. Pour over the chocolate chips, let it sit a minute, and then stir gently with a rubber spatula until completely smooth and glossy. Pour over the bottom of the crust, tilting the pan or using an offset spatula to ensure it covers the entire bottom. Sprinkle with the chopped peanuts. Place pan in the refrigerator while you prepare the filling. 3. Using an electric mixer with a whisk attachment, whip the 1 cup of heavy cream on medium-high speed until stiff peaks form. 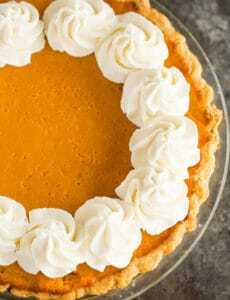 Transfer the whipped cream to a medium bowl and place in the refrigerator until ready to use. 4. Again using an electric mixer, this time with a paddle attachment (or regular beaters if using a hand mixer), cream together the peanut butter and cream cheese on medium speed until light and fluffy. Reduce the speed to low and gradually add the powdered sugar. Once it is all added, scrape the sides of the bowl and beat on medium speed for about 30 seconds to completely incorporate. Add the sweetened condensed milk, vanilla extract and lemon juice and beat at medium speed until everything is completely combined and smooth. 5. Using a rubber spatula, stir in about 1/3 of the whipped cream to lighten the mixture. Very gently, fold in the remaining whipped cream until no streaks of whipped cream remain. Pour the filling into the prepared crust. 6. In a microwave on 50% power, melt the 1/3 cup of chocolate chips with the shortening in 30 second bursts, stirring after each one, until the chocolate is completely melted and smooth. Using a spoon or pastry bag, drizzle the melted chocolate over the top of the pie filling. 7. Refrigerate for at least 3 hours (or overnight) before serving. Store leftovers in the refrigerator. Just made this, and it was well received. There are a gazillion and one recipes for no bake peanut butter pie floating around out there, but this one differs in that it uses real whipped cream, instead of the ubiquitous Cool Whip. Made it melt-in -your-mouth silken in texture, but it was just SO rich that eating more than a sliver was nearly impossible. Additionally, it only held its shape right after removal from the fridge, even after an extended chilling. It became very soft within 10 minutes of sitting out, almost droopy. You can see that tendency in your second picture above. Because of that, I ended up putting it in the freezer, and eating it frozen. It was even better. If you do that, be sure to slice it before you freeze, because it’s very hard to cut through when frozen solid. But it holds its shape perfectly when frozen, and becomes an ice cream-like treat. I know this is a bit late but wanted to give my condolences……I too lost a husband at a young age and hope you were able to pull it all together. It can be extremely difficult to do……it has taken me 5 years to pull my life back to something that resembles normal, if that is even possible. I can say that life will never be the same. So I pray that you and your children are managing to move forward ……..
Hi Kelly, Thank you for your note, but I just wanted to clarify that I hadn’t lost my husband, I was posting this for a friend who had. I did lose my dad when I was 19 – I shared that in the latter part of the post. I just stumbled over here from “I am Baker” as part of the baby shower. First- You have a terrific blog and I will be back. Second- I wanted to comment on this post- you see we lost a family friend on that EXACT same day. He too was married to his beloved wife Tammy and the father of 3 although his kids are grown and he has grandkids he was only 49. He too died very suddenly and very quickly right after having made breakfast for his friends who were all out of town at a rented house attending a festival- a Cheese Burger Festival. The irony abounds that he would die of a heart attack at a cheese burger festival but being only recently retired from the Marines he was in great physical shape. Life sure can change on a dime and I hope your blog friend finds strengths in her family and friends. I know it is so hard. 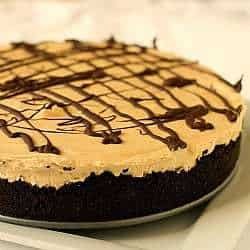 Your version of the peanut butter pie for Mikey is lovely! It’s so great to see everyone come together to support Jennie! I’m so sorry that you had to lose your Dad just as your adult life was beginning to blossom. You have paid a lovely tribute to Jennie, her family and her beloved Mikey. Your words and your pie are beautiful. This brought tears to my eyes. So sad. 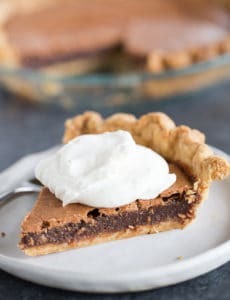 This pie looks delicious and I’m thinking about preparing it (I would say ‘baking’ but it’s a no-bake kinda thing ;) ) for my FIL. Thanks for passing it along. Made this for my family this weekend. Will hold them close and send out prayers and positive thoughts for Jennie and her family. This is lovely. The kindness and generosity of this community is astonishing. I’m so glad to be part of it. What a touching post, I will definitely be making this recipe and hugging my loved ones extra tight. How sad!!! I’ll definitely make this pie and think of her and her family! I am loving all of the pie posts! Beautiful tribute! 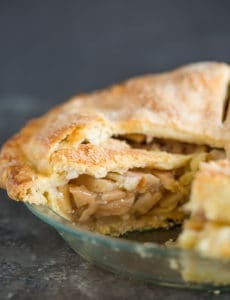 I’m so proud to be a part of our little food blogging community, I’m seeing so many wonderful peanut butter pies today. Great post and wonderful recipe for family and friends.